Polonia Palace guestrooms are equipped with: *high - speed Internet in each room on desk level *video on demand *bill view function *mini-bar *hairdryer *iron and ironing board on request *individual reading lamps in headboard *in-room laptop size safe *Fax/Modem connection *two telephones with voicemail *second locking device *soundproof windows (possible courtyard side rooms) *windows can be opened *individually controlled air-conditioning *blackout curtains *satin bed covers *floor heating system in the bathroom *Fire Sprinkler System *Fire Alarm System according to latest EU standards STANDARD ROOM – / app. 20 sqm / Queen or Twin beds / city center view or quiet preferred room / complimentary Fitness Center (work-out area + 2 separate saunas) / laptop size in-room safe. 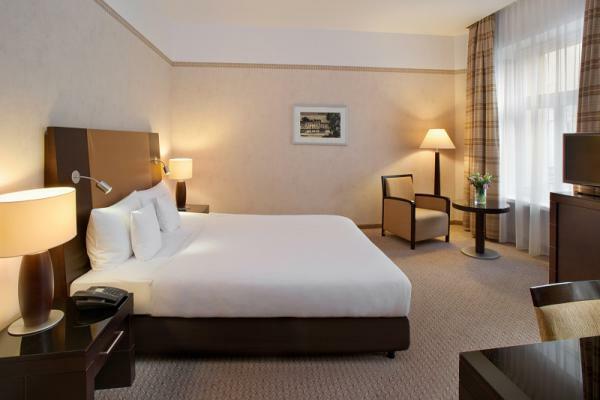 SUPERIOR ROOM – / app. 25 sqm / King or Twin beds / all Standard Room amenities plus welcome drink upon arrival / complimentary use of Business Center (computer, Internet & printer). 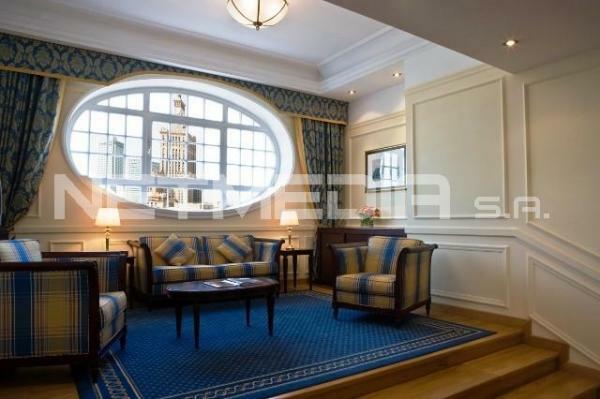 - complimentary Fitness Center (work-out area + 2 separate saunas). - Internet in all Public Areas & Business Center is free of charge (WiFi). 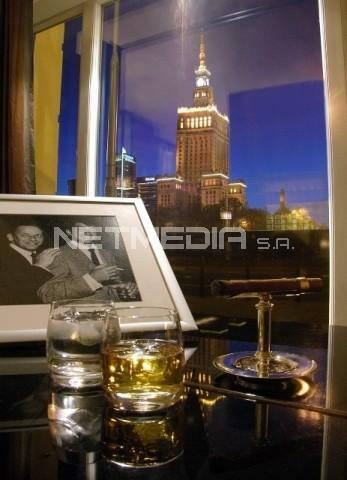 Your days in Warsaw can be ended with a delicious meal in the Polonia Restaurant, over a drink listening to live piano music or watching an exciting sports event on TV in the Bojangles Bar. Experience truly European and Polish cuisine in the relaxed atmosphere in Polonia Restaurant. Menu was conformed to our Guests expectations offering homemade cakes and freshly brewed coffees, distinctive lunch, a la carte dinner menu to the assorted dessert and wines. Modern and trendy theme Bojangles Bar with swing music from Frank Sinatra, Sammy Davies Jr., Dean Martin, Ella Fitzgerald, or Robby Williams is the best place to be with friends or business guests for cocktails, snacks and good vibrations. Live music in our Bojangles Bar 5 times a week. For the sports enthusiast an alternative might be our modern fitness centre with adjoining saunas. Hotel offers fitness room equipped by Technogym, available free of charge for hotel guests 24 hours / 7 days a week. Furthermore, two saunas a await you to wash away a busy day. Combination of modernity and tradition. 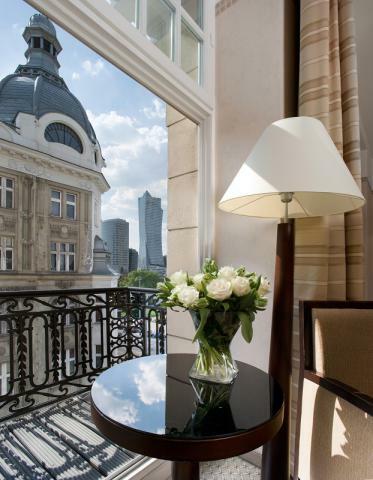 The owner of the Hotel Polonia Palace Hotel Warsaw are "Syrena" Sp. of o.o.